Stop struggling to find the perfect angle for placing your camera. The D-Link Full HD Wi-Fi Camera uses a 137° wide-angle lens to give you clear views of an entire room with a single camera. When it comes to reporting surveillance footage to the authorities, every detail counts. 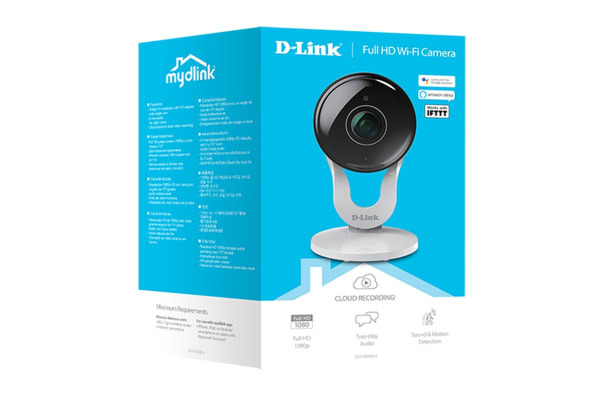 That’s why the D-Link Full HD Wi-Fi Camera has a built-in high-quality Full HD sensor to capture incredibly detailed snapshots and crisp, 1080p full HD quality video. See more of everything, in every corner. Put an end to surveillance recordings that only show you the backs of people moving out of your camera’s view. 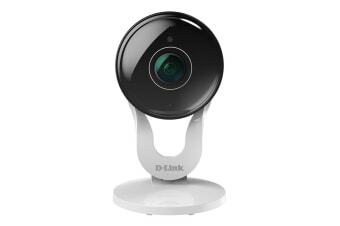 The D-Link camera triggers video recording with less annoying lag, whenever motion is detected. More faces, less guesswork. Hear what you can’t see with the camera’s built-in sound detection. The camera’s triggered alerts to your mobile device and video clip recording let you stay on top of things all the time. Perfect for use as a baby monitor or office camera. Low-light environments are no match for the camera’s night vision capabilities. Get round-the-clock monitoring with built-in infrared LEDs allowing video capture in low-light environments or even in complete darkness up to 4.8m. It’s like your very own private-eye, keeping watch on your loved ones day and night. 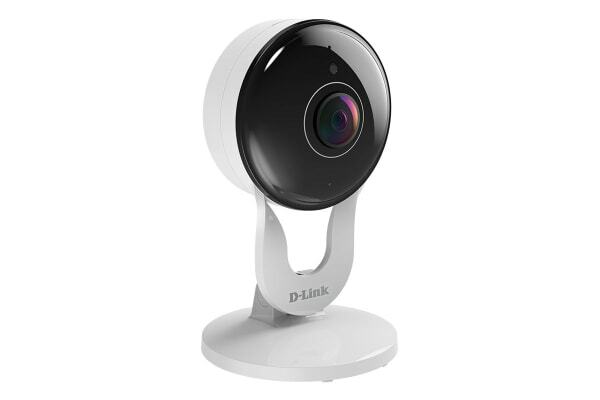 With Bluetooth 4.0 support for quick and easy setup, backward compatibility with 802.11g/b and wireless 802.11n that eliminates Ethernet cabling, you’ll be able to get the camera up and running in no time. With its special fold-out design, the camera fits in unobtrusively on your counter-top, wall or ceiling and lets you pivot the camera towards any direction you want.